On April 27th 2019, we celebrate our 20th anniversary. Please click here to learn more about our fantastic journey! 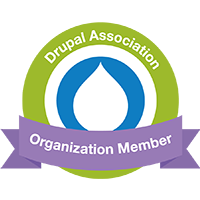 Learn More About Drupal At Enterprise Scale! Drupal Commerce combines branding content within the shopping flow for an all-in-one e-commerce solution for online retailers. We have helped some of the finest companies create, enrich, manage and deliver content to multiple channels. Visit our Portfolio section to learn more about our success stories. DPCI is a technology agency that helps organizations improve the way they create, manage, enrich and deliver content to digital and print channels. With DPCI, we saved over $3 million in one year with a new workflow automation system.